The history of Los Cabos is very rich as the description of its landscape. 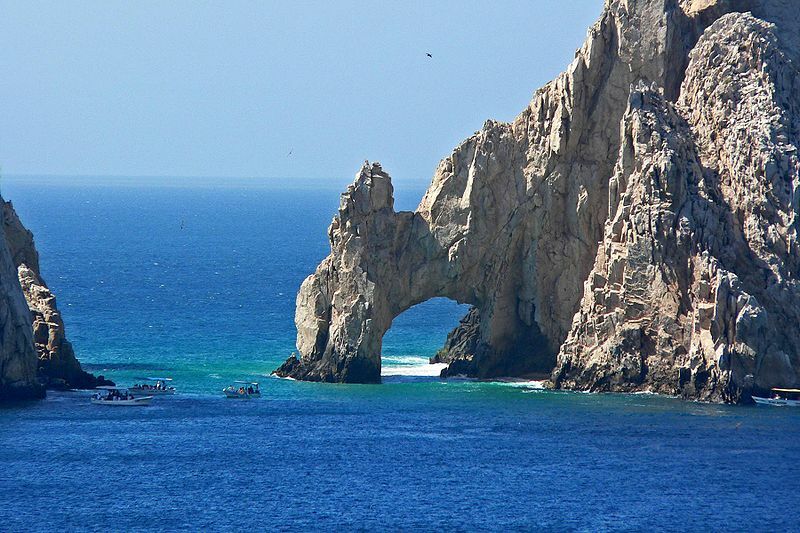 Being one of the oldest sections of the southern Baja Peninsula, Los Cabos transforms into `The Capes’, bringing about a lasting history to this area of the world. Los Cabos is situated at the southern area of Mexico’s Baja California Peninsula in the state of Baja California Sur and covers the towns of Cabo San Lucas and San Jose del Cabo, which is the municipal seat together with the Resort Corridor that is situated between these two towns. Till the latter of the 20th century, this was a rural and a remote area and only when the Mexican government started developing Cabo San Lucas for the tourists, did it then spread east to the municipal seat. Its main attraction is the climate as well as geography where the desert meets the sea, together with sport fishing, golf and resorts. Tourism is the main economic activity with around two million tourists visiting this amazing destination each year. With almost 360 days of good sunshine every year, together with various activities to choose from,this destination can entice the tourist with its matchless natural beauty with a great holiday experience. One could indulge in surfing, snorkelling, kayaking or diving at some of the various appealing locations and have an awesome stay at this awesome destination. To get closer to nature, one could try the ATV ride through the mountainous terrain and learn about the flora and fauna or hop into a Hummer H2 for another amazing ride or even zoom along a Chenowith race for more exceptional adventure. Whatever activities the tourist may indulge in, one will have an amazing experience at this destination which is full of natural beauty and a time for a great vacation.Los Cabon is the ultimate seaside escape in Mexico with endless summer at the tip of the Baja Peninsula where tourists could come here for all year round, water sports and outdoor activities. Its sister towns of Cabo San Lucas and San Jose del Cabo tends to offer various experiences ranging from all night bar crawls to Thursday night Art Walks. In the midst of them, the Corridor offers all-inclusive resorts providing everything for a family vacation or a perfect honeymoon. Los Cabos with the two cities, cosmopolitan Cabo San Lucas has the well-known rock formation called the `El Arco’, where the Sea of Cortex meets the Pacific Ocean, while the colonial style San Jose del Cabo, which is the Tourist Corridor is a 20-mile stretch of dazzling beaches together with luxurious resorts connecting them with the rustic East Cape, which is the home of the world famous Cabo Pulmo. It provides an adventure of various water sports activities, tranquillity, delicious food, together with world-class sport-fishing and unparalleled nightlife and visitors could have an awesome time at this destination. With all these amazing activities together with the climate and the geography, Los Cabos has now become Mexico’s outstanding vacation spot, besides being a leader in the global resort section as well as a popular port of call for cruise liners.